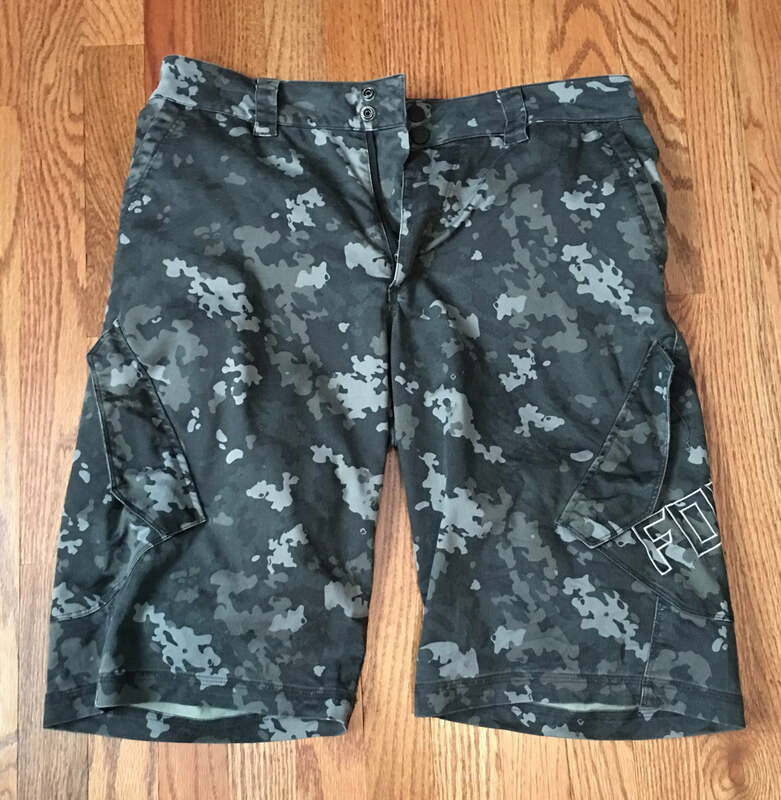 Having a nice pair of riding shorts is one of the best investments you can make as you start mountain biking and the Fox Racing Sergeant Shorts is a mid-range priced pair that will last you many years. The Sergeant Shorts are a good mid range pair of shorts. It includes two primary features, an outer short that is relatively thick and made of cotton and polyester. It’s sturdy enough to support going through overgrown trails, or falls. Then inside is a liner with thick high-density padding for optimum protection in the areas where you need it. The shorts are made of great quality, and they feel like they can stand up to everything you throw at them. I’ve gone on a half a dozen rides already, and they feel just as good as they did when they arrived. Another advantage is the number of pockets in the shorts. It has six different pockets so you can hold anything you’d ever need for an average ride. The side pockets are plenty big enough for a cell phone including an iPhone 6s+ a wallet and anything else. The fit seems to be on par with your average short size. I went a size larger because a few reviews mentioned they come smaller than advertised, but that is not the case. They also come with an adjustable Velcro band on the inside so you can tighten them. But one size smaller is pushing it. The few downsides I’ve had with the shorts are all minor but worth mentioning. They are long for me and come past the knee, for my height (5′ 4″) I wish they were about 3 inches shorter. However, I also do not wear knee pads. If I did, I’d imagine the length would be just right to cover them. The other annoying factor is when you wash them the rear pockets tend to come outside and stick to the Velcro on the outside of the rear pocket. This hasn’t caused any damage, but it makes me feel like it’ll eventually weaken the mesh pocket material and cause a hole. The current price at the time of this review is between $40.85–$109.25 depending on color and size. I would defiantly recommend this pair of shorts if you are in the market. On Amazon, each color is priced differently so go through them to find the best deal.